Democratic Congressional Campaign Committee Chairman Ben Ray Lujan is predicting his party's candidate, Conor Lamb, will triumph in the special election in Pennsylvania's 18th congressional district Tuesday, launching a "tide-turning moment" for the historically Republican district. 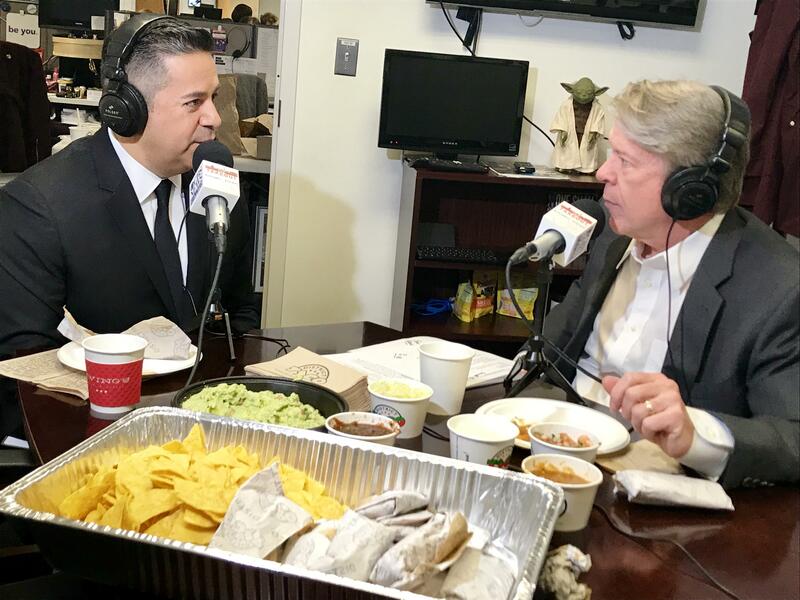 "I think a loud message has already been sent," Lujan told CBS News Chief White House Correspondent Major Garrett on the latest episode of "The Takeout" podcast. That message to the Republican in the race, Rick Saccone, and the GOP more broadly, he explained, became clear last week. "The observation there that's been interesting especially when it comes to the tax debate in the country," Lujan noted, "is Republicans were spending millions of dollars attacking Conor Lamb on this tax package and his tax message. And for whatever reason, Republicans pulled all of that traffic this last week and now they're just assaulting him with every character assassination they can throw at the wall to see what sticks." Much of the money Republicans have spent in the race has highlighted the Republican tax cuts passed at the end of 2017, a key legislative achievement for the Trump administration. They've also used the tried and true approach of tying Lamb to U.S. House Minority Leader Nancy Pelosi, but it seems that messaging was barely moving the needle. Besides the messaging, though, Lamb is an appealing candidate. The 32-year-old former Marine has been a federal prosecutor in the U.S. Attorney's office. Opponent Rick Saccone is also a veteran - he's currently a member of the Pennsylvania House and is a social conservative who aligns with President Trump. The president is going to be campaigning with Saccone on Saturday, days before the special election. The latest polls show Lamb and Saccone locked in a tight race, and Lujan said that for a district won by Romney in 2012 and Donald Trump in 2016 by large margins -- Mr. Trump won the district by almost 20 points -- Republicans have reason to worry. "After the polls close on election night, I think our Republican counterparts are going to be even more worried, and they're going to have to come inside and try to figure out what's happened," Lujan said. In addition to Republican wins in the most recent general elections, for the past 15 years, one Republican, Tim Murphy has consistently defeated all his opponents. Murphy resigned last fall after reports surfaced he had pressured the woman he was having an extra-marital affair with to get an abortion, despite the fact he publicly staunchly opposed abortion. "By the very nature that this district is as close as it is should worry Republicans," Lujan said. "They should be very worried what is happening out there in this congressional district." Polls close 8pm ET on Tuesday, March 13. President Trump will campaign for Rick Saccone Saturday, March 10. For more of Major's conversation with Ben Ray Lujan, download "The Takeout" podcast on Apple Podcasts, Google Play, Stitcher, or Spotify. New episodes are available every Friday morning. Also, you can watch "The Takeout" on CBSN Friday and Saturday nights at 9pm ET/PT. For a full archive of "The Takeout" episodes, visit www.takeoutpodcast.com. And you can listen to "The Takeout" on select CBS News Radio affiliates (check your local listings).